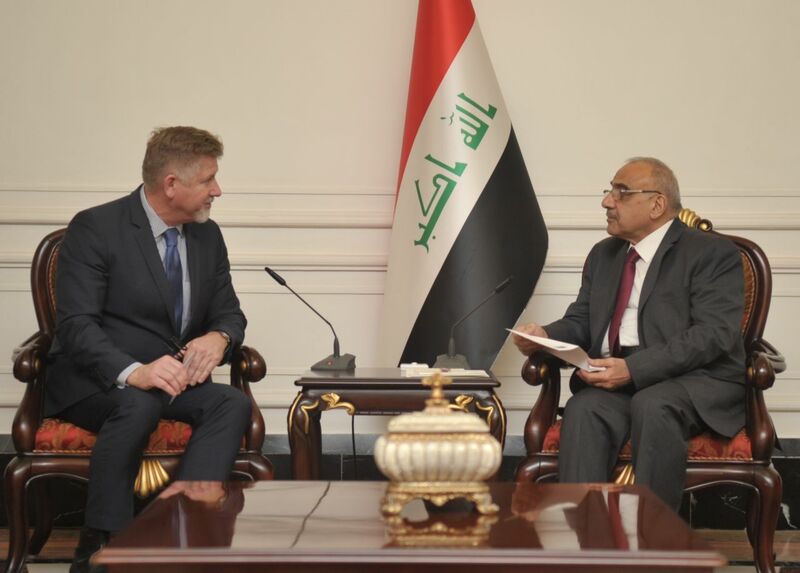 His Excellency Prime Minister Adil Abd Al-Mahdi received Assistant Secretary General for NATO's Operations John Manza and his accompanying delegation. His Excellency Prime Minister confirmed that the Iraqi forces gained a high skill of the experience from the war against terrorism and defeated Daesh gangs, became more able to protect the country and providing internal security, referring to the support provided by NATO countries to Iraq and stand with him to overcome the terrorist's security challenges, Calling for strengthening relations with the NATO's mission and its countries to enhance the potential of Iraqi forces in the areas of armament and training. They discussed the nature of the forces and the participating countries and their numbers, and it should be assistance to Iraq and balanced with local and regional conditions. 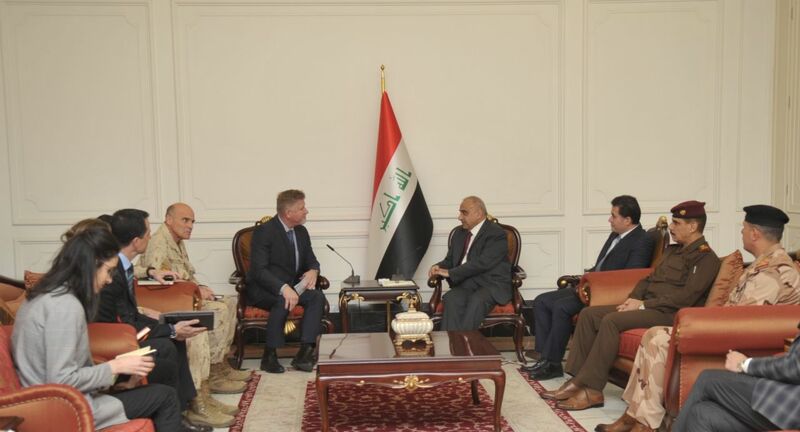 For his part, the Assistant Secretary-General of NATO expressed that the tasks of NATO in Iraq focused on training Iraqi forces and the preparation of Iraqi trainers to meet the need of Iraq in this area, and we are ready to provide the requirements of Iraqi forces and strengthen the partnership.